In this month’s Now Reading we have three totally different recommendations: a gritty romance, a book that inspired a blockbuster TV series, and the biography of a favorite author. Literary Mama staff have been busy readers this month and we’ve picked five of our favorites for you to add to your reading list. This month in Now Reading our staff recommend a modern classic, a ‘girl power’ collection of tales, and also something a little controversial. This month we have three reading recommendations to keep you company as the weather turns cooler and the nights draw in. This month we have recommendations for three recently released books which will spark your curiosity and whizz you off on exciting adventures—just what is needed as the fall sets in and our own summer adventures come to a close. Take a journey into a another time, place or culture with our book recommendatioins in this months Now Reading post. Which books have you been enjoying this summer? Here are some of our staff’s recent favorite reads. 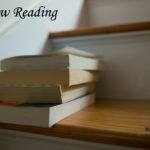 If you want to fit some quality reading time into your summer schedule, we have some great recommendations for you in this month’s Now Reading post. Strong women and mother-daughter relationships feature heavily in our Now Reading recommendations for May. We have a memoir full of adventure, a true crime bestseller, a middle grade classic and a touching novel to stimulate your reading appetite. We’re all about variety in this month’s Now Reading recommendations. Our staff picks include a romantic escapist title, adorable poetry books for children, and a collection of short stories by some of America’s greatest writers.